Rate Trade brings you the most reliable mortgage amortization calculator in Canada. To buy your dream home, you need to get more than just a feel of the future liability that you are going to face; you must have an exact idea about the monthly payments on a mortgage. Our mortgage calculator not only follows an efficient mortgage payments estimation procedure, it also lets you find out the Total Mortgage Payment, CMHC Insurance as well asLand Transfer Tax, all in one place. And the best thing about all this is that the tools are absolutely free! Why Do I Need A Mortgage Calculator? Our website provides a very simple and user-friendly interface to estimate the monthly payments on a mortgage. All you need to do is enter few figures, like the property value, down payment, the required amortization period, the applicable mortgage rate, and our mortgage calculator will do the rest. You will be provided with the monthly payment required along with the entire amortization schedule of your mortgage. You can also find out the periodic payment required in case you opt for semi-monthly, bi-weekly or weekly payments. What Other Calculators Can I Use? Apart from the ordinary mortgage calculator, we also have a range of other useful calculator like Mortgage Affordability, Mortgage Insurance, Land Transfer Tax, Refinance Calculator, and Refinance Penalty, among several others. You can have a look at our different Mortgage Calculators to get a better understanding. Should I Renew My Mortgage or Should I Go for Refinance? This is a big decision that every home buyer has to make several times during the mortgage period. In Canada, a mortgage is typically arranged to be paid off in monthly installments so that the entire amount of mortgage can be fully paid off within any time between 25 and 30 years or by the choice of individual taking mortgage.However, you cannot take loan extending to that many years. Because of this, you have to face the question of whether to go for renewal or refinance of the mortgage loan. To simplify the concept, suppose you have taken a $200,000 mortgage on your house, which has to be paid off in 30 years based on the amortization schedule. However, it may be so that the term of the mortgage is a mere 5 years, at the end of which the lender has the right to demand full payment in case mortgage is not renewed. Then you will have the option of either renewing the mortgage or catching hold of another lender. For some of us, it may seem that mortgage renewal appears to be better option, since we do not have to handle the hassles of looking for a different lender and getting a fresh loan approved. However, you must make it a point to find out the existing rates. Why would you continue paying at higher rates, if the rate of interest has gone down in the meantime? Whenever you face the Renewal or Refinance problem, all you have to do is use our Refinance Calculator. You can also find out the Maximum Mortgage Refinance Value. Land Transfer Tax is a tax which is imposed on the acquisition or purchase of any residential or commercial property. It is necessarily a provincial tax which is imposed whenever a property changes hands. 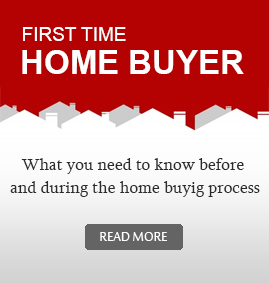 If you are a first time home buyer, you may be eligible for obtaining a refund. CMHC Insurance is basically a mortgage default insurance, which is imposed to protect lenders from possible future payment defaults on the part of the borrower. In Canada, it is mandatory for you to pay CMHC Insurance if your down payment lies anywhere between the minimum rate of 5% and up to 19.99%.